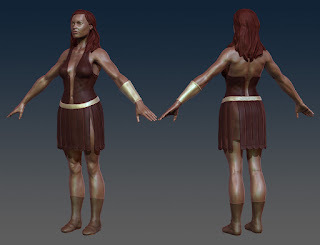 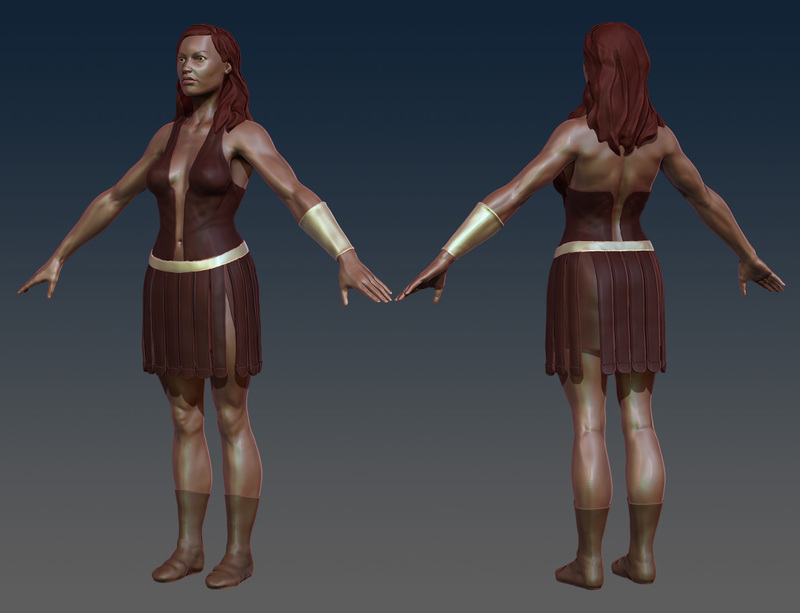 Blocked out the skirt, boots, further polish of anatomy. 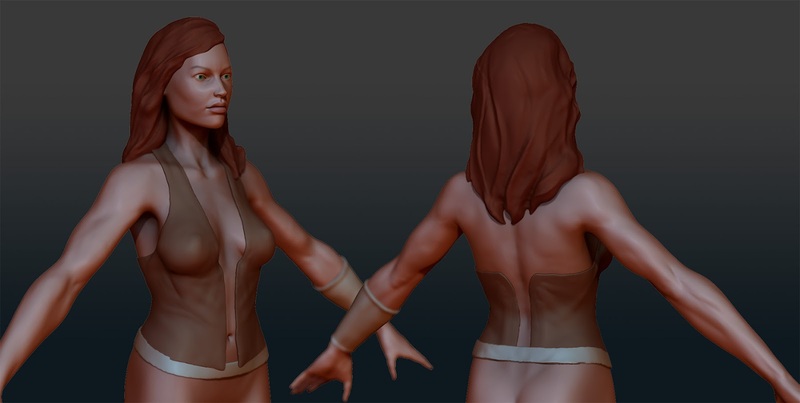 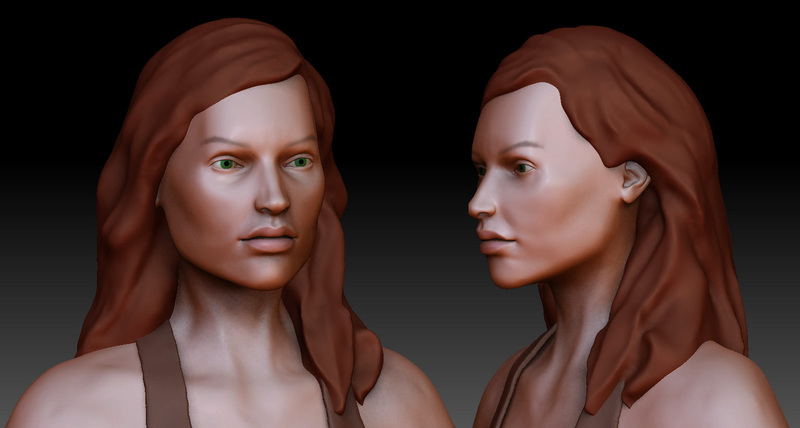 Needless to say, I ditched Blender (really wanted to stick with it for sculpting), moved over to ZBrush. Here's the latest on Sonja's head.